As we continue with our series of Interviews with MPs, I sat with the National Assembly member for Tumana Constituency Honorable Foday NM Drammeh who spoke on many important matters in politics, how he had abandoned his job for politics and the differences between the past and present governments. Please read on. Daily News: Honorable Foday N.M. Drammeh, I am very delighted to have you in The Interview and can you please tell me your brief biography? Hon. N.M. Drammeh: Thank you very much Mr. Sawaneh. Honorable Foday N.M Drammeh is a Gambian by birth, mum by Fatoumatta Fatty and dad by Nyambi Drammeh both of them are born citizens of this country and a native of Pirai Tenda, URR in Tumana Constituency. Basically, I was born in the community called Pirai Tenda. I started my primary school in Pirai Tenda Primary School. Later in the 2000s, I moved to Fajikunda where I attended my Upper Basic School in Latrikunda Upper Basic School. From there I went to the Gambia Muslim Senior Secondary school where I sat to the famous West African Senior Secondary Certificate Examination WASSCE. In 2010, I attended the Gambia Collage to do my High Teachers’ Certificate (HTC), towards the end of the course; I was not able to continue with the course because of my father’s poor health situation. I had to quit and go and take care of him in URR, where I was for the past three years. As I was in my community there was a community-based organization called Tumana Agency for Development TAD. I joined this community based organization in 2013 to 2016 were I was working as senior Agriculture and Environment Staff but during the period of my stay in URR and my time for Tumana Agency for Development, we have 48 communities, out of the 48 communities, I was directly working with 33 communities and we have three ethnic groupings in Tumana constituency: Mandinka, Sarahule and Fula, but I was working with 15 Mandinka Communities, 2 Sarahule and 16 Fula communities in the Tumana Agency for Development. I was also working with the American Peace Corps in the community. There were lots of problems this constituency was facing in the past 53 years. I always move with my team to conduct need assessment tour in every year. We normally conduct the tour in one or two weeks. We go to the communities to ask for their needs, after we prioritize but as I am talking to you Tumana is the only Constituency in the whole of URR without a senior secondary school which is a fundamental human right. I feel that we are not enjoying it, and it is clearly stated in the constitution that high school education should be made accessible to all, that is not happening in this constituency. Tumana is the only constituency in the URR without health post which is also a fundamental human right, not even a privilege but a right. We have three tribes and a population of 37,000, without senior secondary school, health post and our roads have never been constructed since from the independence to date. Most of the communities in my constituency are drinking from open wells and some are even drinking from local hand pumps. But most in URR especially Tumana as a constituency lack most of these social amenities. So I feel that after knowing the entire problem and challenge that is affecting the constituency, I say to myself since there is a change of government, I will take the opportunity as a young star who is energetic and know all the problems that is within the Tumana Constituency in a bid to finding solutions. I took the sacrifice to stand in the parliamentary election which I won massively under the UDP ticket, to represent my people and to advocate for them and to convey their message to assembly. Daily News: Honorable, I will take you back as you listed the problems of lack of development in your constituency including: no health post, no senior school and poor road networks, now that you are the representative, what are you doing to see that those problems are solved? Hon. N.M. Drammeh: Yes I think one of the reasons why the people of Tumana entrusted me with their votes, not only to entrust me with their votes, but they voted for me massively in last parliamentary elections is that they have trust and confidence in me that given the opportunity, I will work to their expectations. Coming back to your question, I think this is very good question. Since I won the last parliamentary election, I think those are some of the issues I discussed with some of the journalists at Star Fm Radio which was relayed by Alhagie Sarjo Barrow. One of the problem mentions was that Tumana as a constituency in URR without senior school, so what I did was as a National Assembly Member, I believe the chambers is the right place where we can ask or where we can put the government into account and where we can ask for our fundamental human rights. When the minister was at the parliament, I asked him a question regarding the high school issue in my constituency. He answered and agreed that Tumana constituency was the only constituency without a senior school and then promised that there would be a high school. Few months letter, we are fortunate to have a high school now, for the first time after independence in 1965 to date. Regarding the issue of a health center, I will firstly thank Allah (S.W.T) and also thank Hajie Banigo Sisoho for complementing government efforts and he is the proprietor of Star Fm Radio, and he is a big supporter of the UDP and one of my big supporters. Tumana was the only constituency without health facility. All the constituencies in URR have two to three health facilities but Tumana is the only constituency without one but with the help of Hajie Banigo Sisoho the health post is now under construction. Maybe in some months’ time they will be able to finish the building, so which means within a year we have a high school and health facility in Tumana. For the road issue, you can also be a witness that we have just signed an agreement with the Republic of China on road construction, that they are coming to construct a road with two bridges amounting to 75,000,000 US dollars. The road will start from Basse via Tumana to Kantora. These were issues that were lacking for many years. Daily News: What prompted you to abandon your job for politics? Hon. N.M. Drammeh: Yes I think that I have already stated that, but I will go back into details. I was working with a community base organization Tumana Agency for Development as a volunteer. I worked with the community from 2013 to 2016, but one of the reasons why I abandoned my job for politics was not because of money, it was that I felt that we were not being represented before. What happens is that there is a national cake that belongs to each and everyone of us in the country, as far as you are a born citizen of this country. The people of Tumana constituency were not benefiting from that national cake. I believe that when I leave my job and go to the parliament, I will be able to fight for the rights of my people. Daily News: Honorable in your words you said that Tumana constituency was not being represented and when you said represented can you please go into details or are you trying to say that the person who was there before was there for his own personal interest? Hon. N.M. Drammeh: when I said we were not been represented am not trying to say that the person that was there is there for his own personal interest. But we belief that as far as Tumana constituency is concerned we have a common gold and that common gold is the national cake that belong to all of us, we all have right to, that is the budget but that budget did not reflect to Tumana. Simple because most times the people always complain that when they voted for this people, they will never come back until it is time for election time. Had it been they know the problems affecting Tumana, they will at least make sure that some of the fundamental human is solve. Daily News:Honorable as an UDP National Assembly Member, what is your say on the words that UDP is a Mandinka party? Hon. N.M. Drammeh:I think that this one is very funny and it always makes me laugh when I hear people saying that UDP is a Mandinka party and the UDP deputy leader is not even a Mandinka. If a party is great people look into so many look holes and they will always try to tampered the good image of the party, and some will try by all means to make people in a form of mockery and to tannish your good image. UDP is a big party in this country and people know that they are powerful; this is why they are coming up with all such of allegations and misleading words just to spoil the name of United Democratic Party. Which is already democratic and united? They are doing this to win the attention of the militants’. 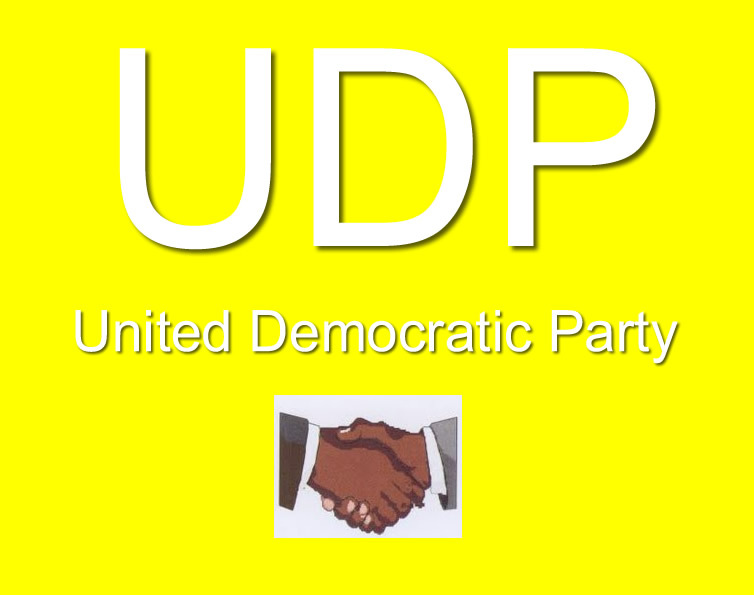 UDP is here to represent the all the people of this country. Even looking at the National Assembly there are so many UDP MPs that are not Mandinkas. My own take is that people are trying to give bad image to UDP and that will never happen. We are democratic andIn Sha Allah we will always be united. Daily News: How different is the current Government from the previous one? Hon. N.M. Drammeh: There is a big difference between the current and the past governments and it is just like the dead and the living. In this current government everyone has the right to move from one place to the other without having any problem, this is the government where the people exercise their human rights which also includes freedom of speech. And this is the government were we have rule of law under the able leadership of H.E Mr. Adama Barrow. In today’s government people also have the right to stand on a platform, to talk about some problems and some weakness about the government and there is one thing I like about this government that is the nature of the parliament. We have young talented and energetic parliamentarian who are ready to take the county up to up to expectation. This government is here for all the people of this country and is a government of the youths of this country, and is here for development. These are things that were lacking the country behind for many years. But in the last regime you there not to speak out anything that you feel is bad about that government, if you do it then you are in problem. There were lots of torturing, killings, lootings and there were lots of concification of people’s properties. Daily News: What is your say on the words laid against your party leader Hon. Ousainou Darboe that he is responsible for the coming of the deportees in the country? Hon. N.M. Drammeh: This is a mere allegation as we are in the political season; some of the political parties are using this time as an opportunity to play with peoples mind. We all know that Gambia is not an island of its own. Gambia is part of the international bodies and there are rules and regulations that are attach to some of these International bodies. I believed that most of these people coming back home, especially the people coming from Libya, we cannot called those people Deportees but they are returnees. Most of these people are coming back home, is not that the government of the Gambia have put pen on paper so that they will bring them back. But they just feel that they are tired of sitting there and they prefer coming back rather than to proceed. For that of America I believed that the president was not even responsible, much more the foreign minister that. We all know that it has been clearly statedthat the order was from the judicial sector of the America, that some of the people that are within the country, they need to return them back to their various countries.Since they apply for asylum and most of them their asylum didn’t went true. But within this time frame what am seeing is that many people and political parties are trying to put the allegation on the UDP party leader that he is responsible of bringing back this people who were been deported back to the country. 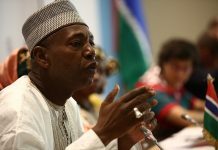 He himself knows that the government of the Gambia didn’t prepare that ground for the people that are coming back. We all know that this people have gone through, they have seen lots of torturing, killings and they have seen lots of criminal act in those countries. So if the country is putting something on the paper to bring those people back, that is going to be trick to the national security in the country. Daily News: Thank you very much Honorable Foday NM Drammeh for your time and I am very happy to have you? Hon. N.M. Drammeh: Thank you very much Mr. Sawaneh for having me in the Interview and am also looking forward to having another interview.